(Nanowerk News) Scientists in the United Kingdom are reporting an advance toward overcoming one of the key challenges in nanotechnology: Getting molecules to move quickly in a desired direction without help from outside forces. Their achievement has broad implications, the scientists say, raising the possibility of coaxing cells to move and grow in specific directions to treat diseases. 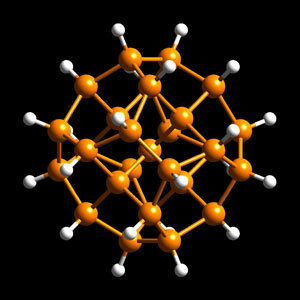 It also could speed development of some long-awaited nanotech innovations. They include self-healing structures that naturally repair tears in their surface and devices that deliver medication to diseased while sparing healthy tissue. The study is scheduled for the October issue of ACS Nano, a monthly journal ("Directed Single Molecule Diffusion Triggered by Surface Energy Gradients"). Mark Geoghegan and colleagues note long-standing efforts to produce directed, controlled movement of individual molecules in the nano world, where objects are about 1/50,000ththe width of a human hair. The main solutions so far have involved use of expensive, complex machines to move the molecules and they have been only partially successful, the scientists say. The scientists used a special surface with hydrophobic (water repelling) and hydrophilic (water-attracting) sections. The region between the two sections produced a so-called “energy gradient” which can move tiny objects much like a conveyor belt. In lab studies, the scientists showed that plastic nanoparticles (polymer molecules) moved quickly and in a specific direction on this surface. “This could have implications in many technologies such as coaxing cells to move and grow in given directions, which could have major implications for the treatment of paralysis,” the scientists said.